Security Implications of Climate Change: Sea Level Rise – Presentation by Prof. Walter Kaelin to the Security Council. 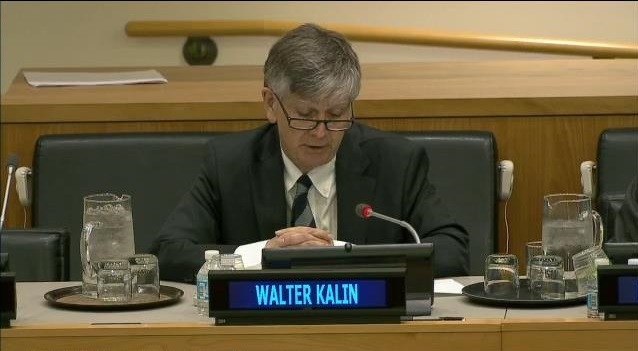 Walter Kaelin is the Adviser to the Chair of the Platform on Disaster Displacement and the former Envoy of the Chairmanship of the Nansen Initiative. The relationship between climate change and peace and security is complex. However, it becomes increasingly clear that prolonged and recurrent drought may be an important driver of conflict. The relationship between sea-level rise and conflict is less obvious. Sea-level rise is slow and – as of today – has less dramatic impacts on affected societies and communities than drought. Low-lying Small Developing Island States belong to the most peaceful countries. Today’s most serious armed conflicts don’t take place in low-lying coastal areas. And yet, on the long run, sea-level rise might have a much deeper impact than drought and desertification on peace and security. Sea-level rise is likely to weaken or even jeopardize the statehood of affected countries and thus undermine the very foundation of the present international order. States are entities with a defined territory, a permanent population and an effective government. Sea level rise clearly affects all these elements, albeit to different degrees. States such as Bangladesh and other countries with large deltas risk substantial loss of densely populated land. Low-lying atoll States may even lose most of their territory and thus of their people who have to move abroad. Such large-scale losses certainly affect the overall governance capacity of such countries. Let me focus on displacement. Depending on temperature scenarios it is estimated that between 130 million to half a billion people live in areas that will be submerged in the long run. However, sea-level rise is not only a slow-onset process but also a “here and now” issue. Already today, rising sea-levels have devastating impacts because of the interaction between such longer term processes with sudden-onset events. Scientists tell us “that storm surges are now riding on higher levels than they were earlier, increasing the extent and severity of flooding damage ….” (Australian Climate Council). Higher storm surges mean stronger erosion of coastlines, more salinization of fertile land, bigger damages to livelihoods and housing, and potentially higher loss of lives. Such disasters exacerbate pre-existing vulnerabilities, undermine resilience and are likely to make territories uninhabitable long before they submerge. And last, but not least: These are the kind of disasters that force people to move from their homes even in the short-term. Depending on the circumstances, the arrival of large numbers of displaced people with different ethnic or religious identities may exacerbate pre-existing tensions, contribute to radicalization and trigger inter-communal violence. Tensions between hosts and the displaced over access to resources, livelihoods and services may dramatically increase the fragility of countries that often underlies armed conflict. This is why we must act now. Today, the Platform on Disaster Displacement (PDD), presently chaired by Germany with Bangladesh as vice-chair, promotes and facilitates the implementation of the recommendations of the Nansen Initiative’s Protection Agenda which was endorsed by almost 110 States in October 2015. 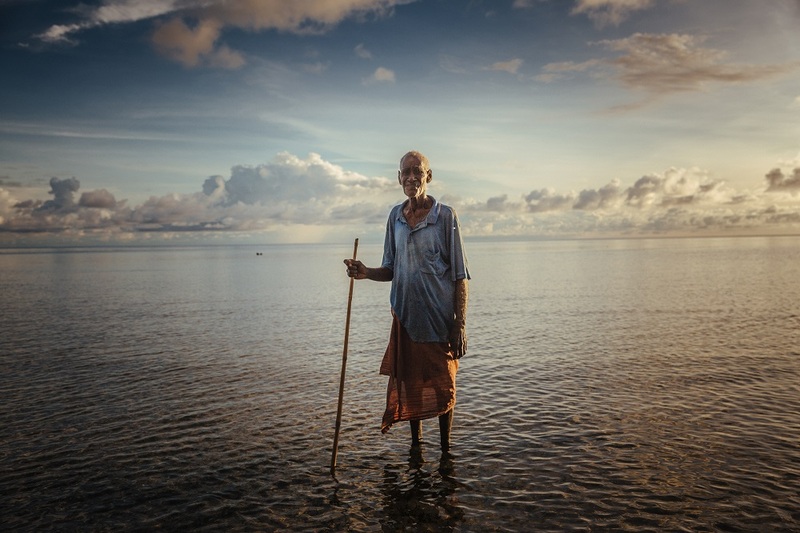 The Protection Agenda presents a toolbox to better prevent, prepare for and respond to displacement in the context of disasters and adverse effects of climate change. As this work shows, much can be done. People who move out of areas where life is becoming too difficult to stay because of environmental degradation or have to flee sudden-onset hazards such as storms and flooding need protection and assistance. They also need a place to rebuild their lives in a sustainable way. Those remaining within their own country become internally displaced persons and must be treated in accordance with relevant international standards. Those fleeing or moving across borders, however, are neither recognized as refugees norr are they otherwise specifically protected by international law. Nevertheless, it is encouraging to see that many states have developed domestic measures such as humanitarian visa or temporary protection to protect cross-border disaster-displaced persons. These approaches need to be harmonized and further developed, ideally at regional levels. However, people affected by sea-level rise to not want to become displaced persons and end up relying on humanitarian handouts. Rather, they expect us to help them stay or, when moving away from their homes becomes unavoidable, to be able to do so with safety and dignity and some degree of choice. In fact, disaster and climate displacement, understood as sudden and forced movement, can be avoided to a large extent if the necessary measures are taken. Three factors determine whether people can stay or not. People are displaced when they are (i) exposed to (ii) a natural hazard and (iii) lack the resilience to withstand its impacts. We can influence all these factors, at least to some extent: (1.) Robust mitigation measures are crucial to limit the degree of sea-level rise and associated natural hazards. (2.) 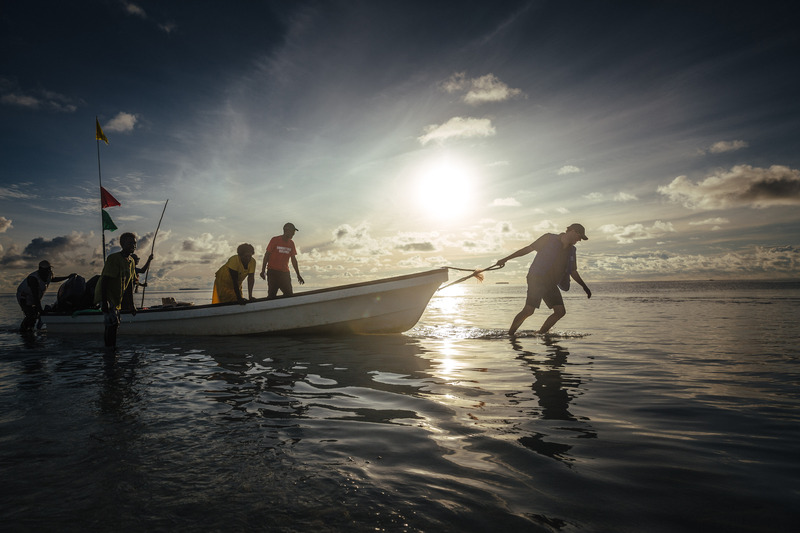 Robust disaster risk reduction and climate change adaptation measures go a long way in building the resilience of affected communities enabling them to stay. (3) Where despite such measures displacement risks remain significant, affected people need to be able to move out of harm’s way before disasters strike. This can happen either through planned relocation within the country or abroad, or by allowing people at risk to migrate abroad, be it temporarily or permanently. 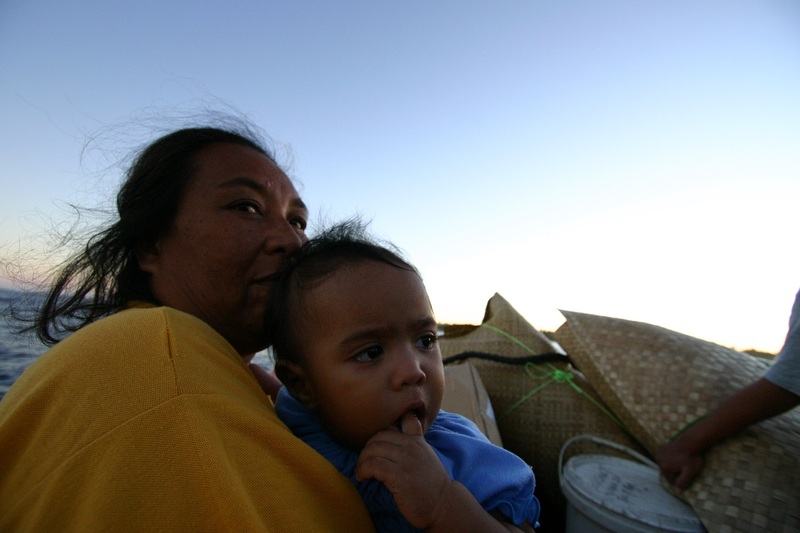 For small atoll states cross-border relocation or permanent and managed migration to other countries may become a measure of last resort. Bilateral or regional discussions in particularly affected regions on how best to prepare and facilitate such movements of persons with respect for their dignity and human rights would be important. 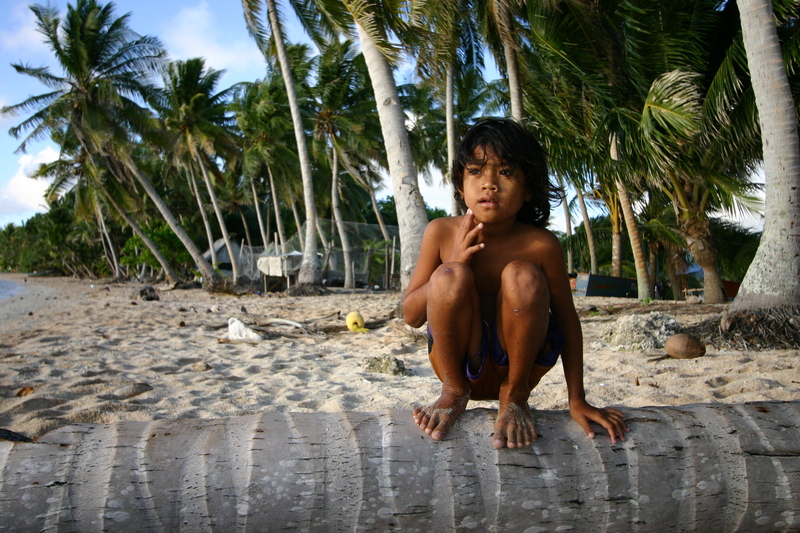 If all these measures are fully implemented, displacement-related impacts of sea-level rise on international peace and security will be limited. If not, State fragility and associated security risks might dramatically increase. 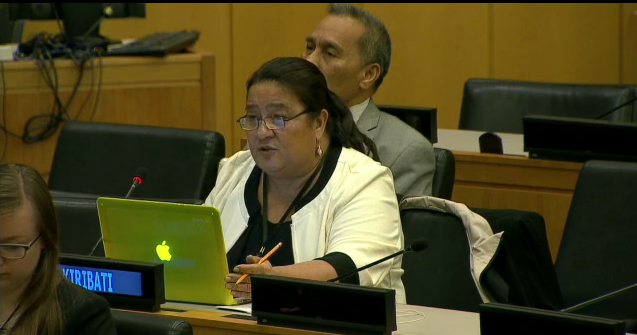 This is why sea-level rise is not only a development and human rights issue but also a security challenge. As Secretary-General Kofi Annan reminded us back in 2005: “… we will not enjoy development without security, we will not enjoy security without development, and we will not enjoy either without respect for human rights.” This also holds true for sea-level rise induced displacement.